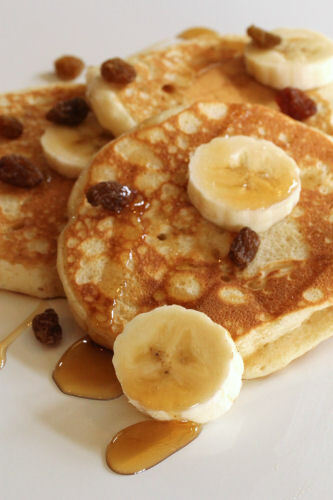 A little breakfast treat of American style pancakes with raisins - just add the raisins to the pancake batter, and mix well before cooking. 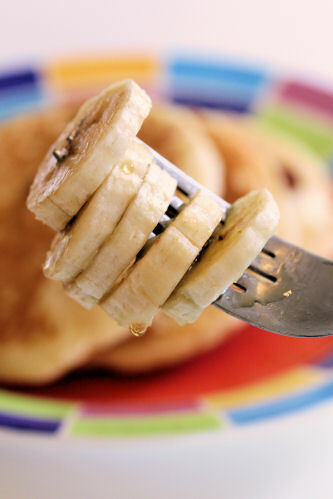 Top with banana, some more raisins and a drizzle of maple syrup. 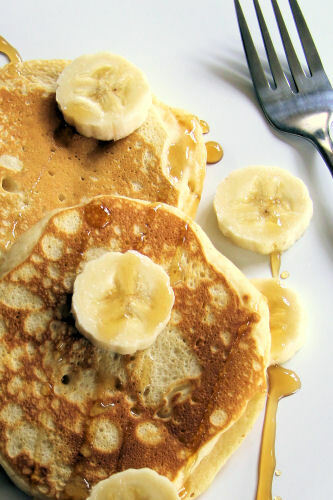 Recipes for the pancakes here. 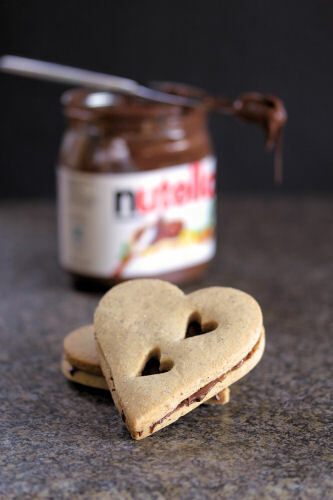 A cookie similar to the Linzer cookie, but filled with Nutella rather than jam. 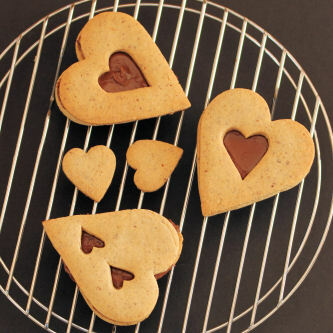 The cookies will be a little crumbly, so take care when filling with Nutella (or jam) that you don't break them. Using an electric whisk, cream the softened butter and sugar together until fluffy. Add the egg and beat again. Add the flour and cornflour to the mixture and cream together. Stir in the ground pecan nuts, mixing well. Roll out on a lightly floured surface to about 3mm thickness. 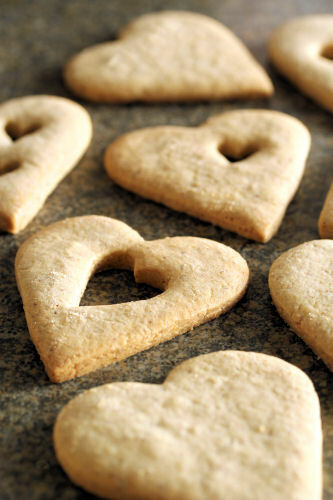 Using cookie cutters, cut into hearts or shapes of your choice, use smaller cutters to cut the middles out of half of the cookies. Place them onto ungreased baking sheets and chill for 30 minutes or longer. Heat the oven to 170ºC, and bake the cookies for 10-15 minutes until lightly browned. 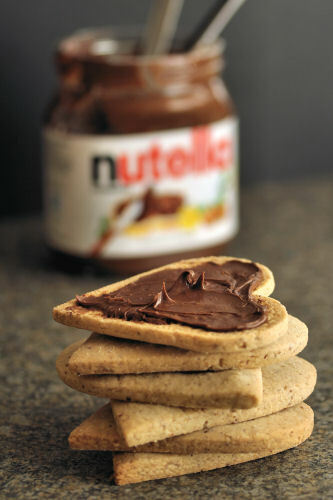 Fill cookies with a little Nutella and sandwich together. 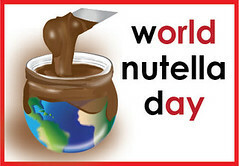 These were made for World Nutella Day! 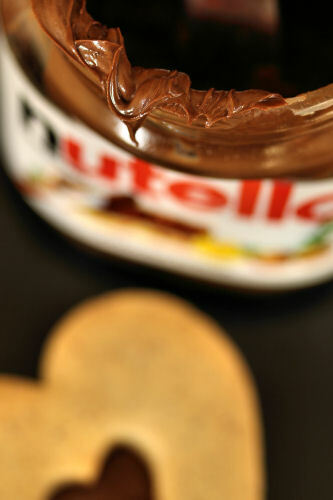 Click on the bage to learn more and for Nutella recipes galore click here! One of the places on my (long) list to visit is Hong Kong. 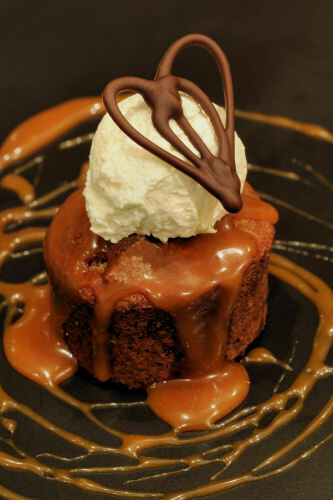 Although small and compact, there are more than 10,000 restaurants to choose from, which means that if you ate out three times a day, it would take over nine years to try them all out! If you haven't got nine years to spare and can't get to Hong Kong, I have good news! 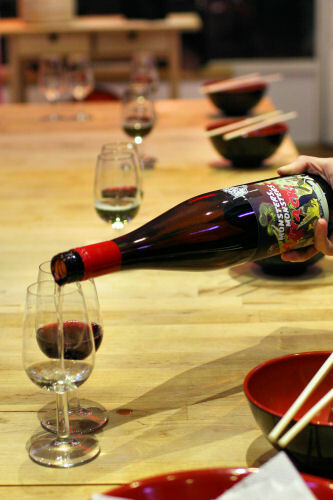 As part of a six-week celebration of food and wine, the Hong Kong Tourism Board has partnered with four of London's finest Chinese restaurants, offering special menus to honour the Hong Kong Wine and Dine celebrations, plus special classes at the London cookery school 'School of Wok' (love that name) to recreate those traditional Chinese dishes at home - for however many years you want! 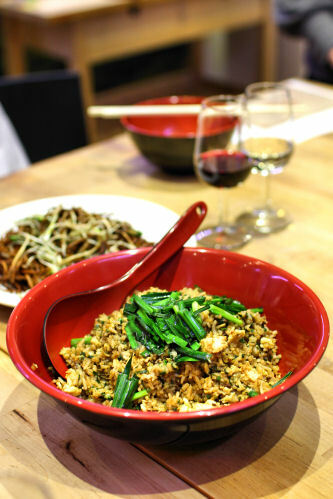 I got the chance to try out the School of Wok last week, and it's well worth a visit. 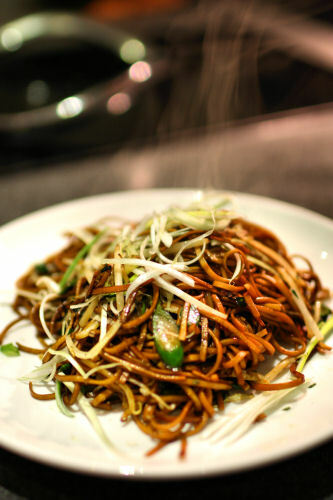 Located close to Chinatown, the school hosts a variety of classes and corporate events, covering many different Asian cuisines. 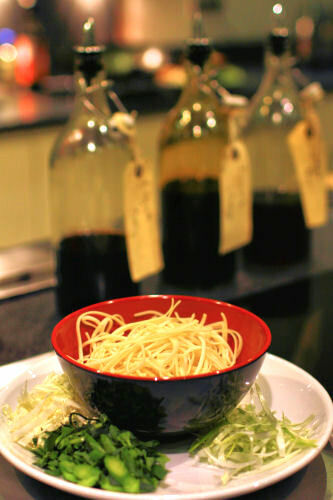 Not only do you prep and cook the food, you also get to eat the dishes you create. 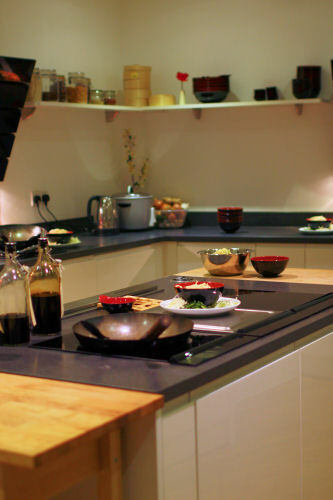 Classes range from a 1 hour quick fire wok lesson to a 5 day intensive course. 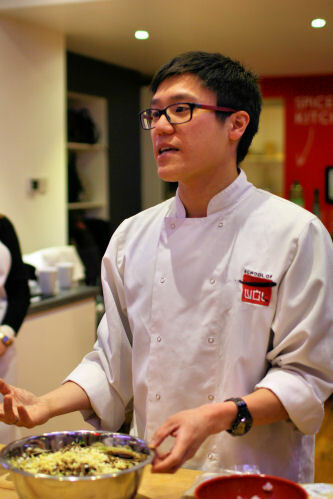 The young founder and head chef Jeremy Pang is like a breath of fresh air to the London cookery school scene. Not only passionate about food, you can tell he loves teaching and sharing his knowledge and skills. 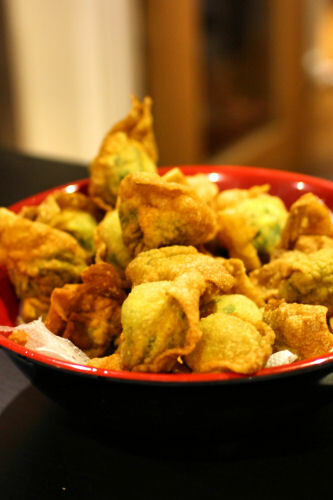 The school also has other teaching chefs, each with their own signature dishes and specialist cuisines including Chinese, Indian, Malaysian, Japanese, Thai and Vietnamese. 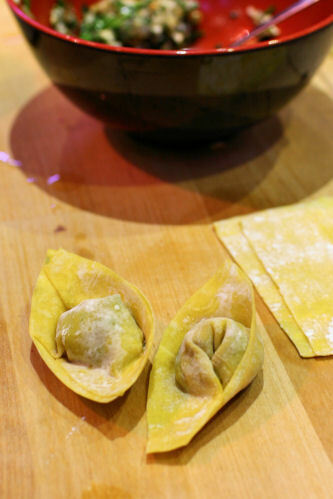 We were shown how to fill and fold wontons, which were deep fried and served with a sweet chilli sauce. 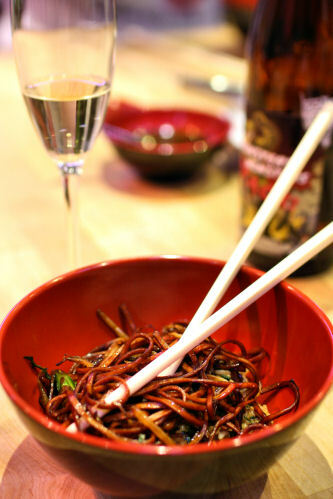 Then we were given a wok demonstration, before being let loose with our own stir-fried 'Hong Kong Fried Noodles'. 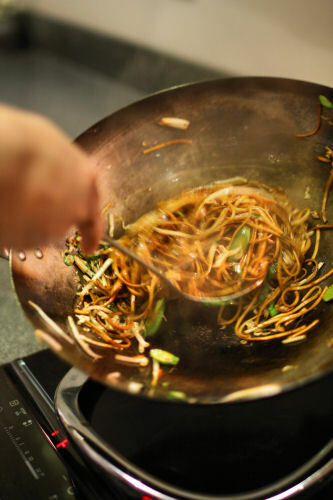 A smoking hot wok is the key here and plenty of wrist action with the spatula. 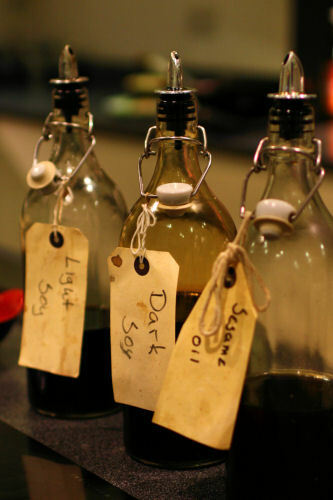 During the evening, we sampled some fresh and exciting wines from a new pop-up wine company called A Grape Night In. 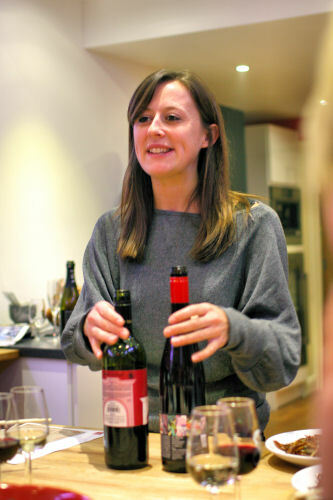 Our hosts Laura and Kiki explained how to pair wines with Asian spices and encouraged us to try different wines with our food, rather than the same old wines we are comfortable with. 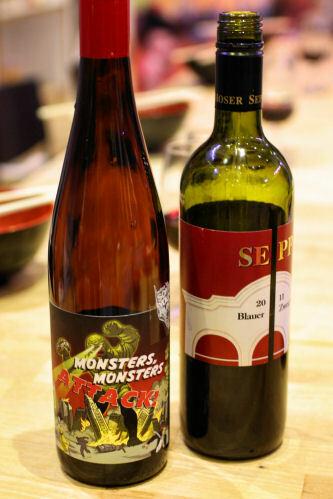 Trying the wines, which one did I prefer? 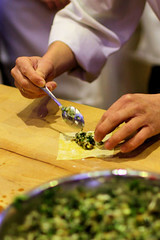 There are a few more photos of the evening on my Flickr set, School of Wok, please take a look! 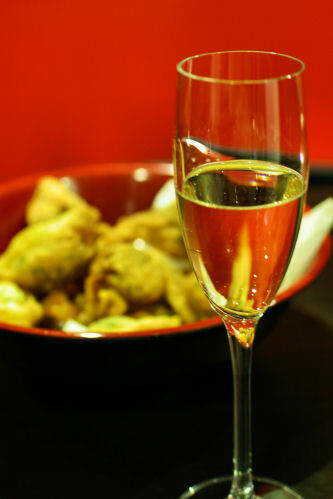 Click here for further details on the Hong Kong Wine and Dine Festival. 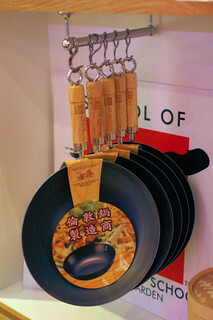 Click here for further details on the School of Wok. Disclaimer: I was invited to this event but was not paid to attend or write this post, all views are my own.